Watercolour on Saunders Waterford High White NOT paper. 140lb. 1/4 Imperial. This is following on from a sketch i did earlier in the week when Farmer Goodenough was cutting the grass for silage and baling it. It’s actually in the field next to my house. A bit of a change of scene for me. I started the painting at Art Group on Thursday and finished it off today. Watercolour on Waterford HW NOT paper. 140lb 1/4 imperial. I started this on the David Bellamy course that i attended recently. We were not blessed with decent weather and consequently had to dodge the showers. The cliffs kept disappearing into the mist. I’ve tried to convey the brooding atmosphere of the day. Not sure whether I’ve completely succeeded. After The Rain – Sidmouth. Watercolour on Saunders Waterford HW NOT paper. 140lb 1/4 imperial. As a follow up to the sketch I posted in a blog a couple of days ago, I’ve now worked up my sketch of Widemouth Bay into a full painting. Painted on Arches NOT paper. 140lb. 1/2 Imperial. I managed to get out for a few hours today, sketching in Bude. 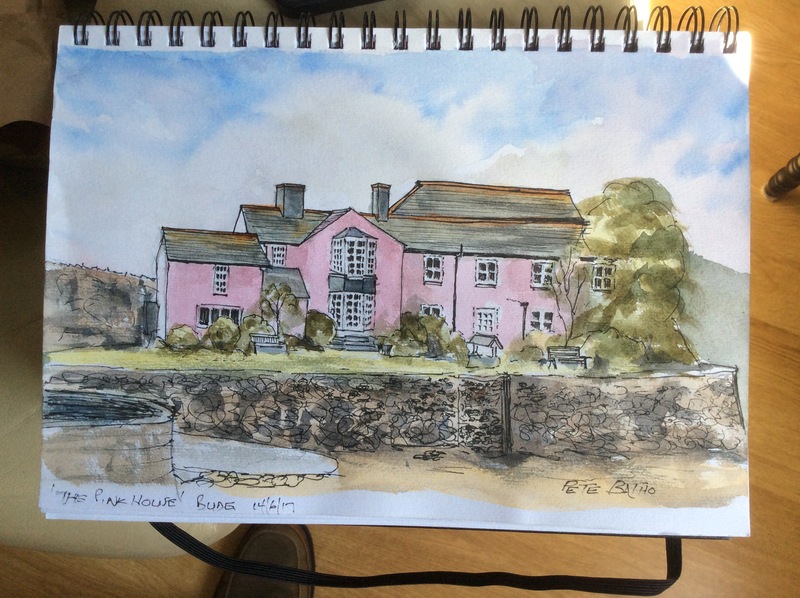 The first effort is a pen and wash of ‘The Pink House’ which is situated by the sea lock at Budehaven. It gave me a chance to try out my new travel brushes (see my last blog)… Well one of them anyway. After the initial ink sketch I used the squirrel mop brush for the whole wash thingy. 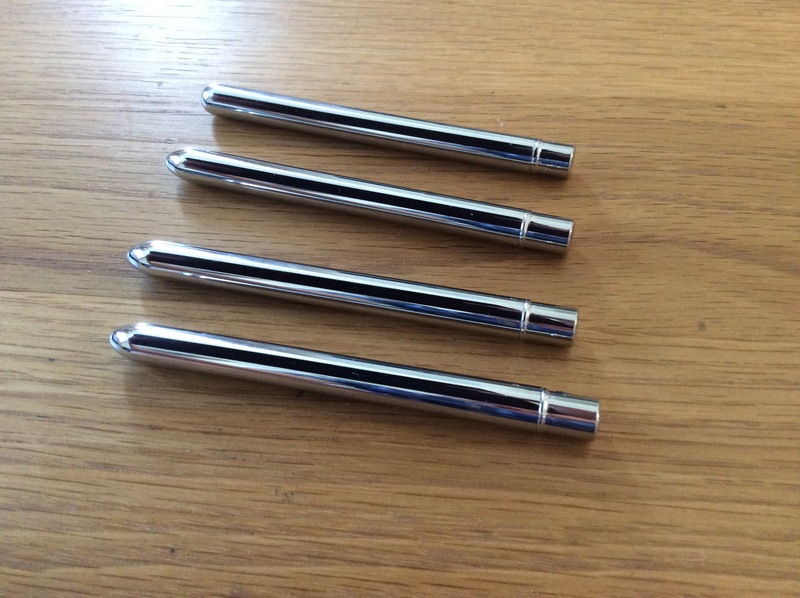 It’s a brilliant brush, beautifully points and carries a lot of water/paint. It took me about 1 1/2 hours to complete. 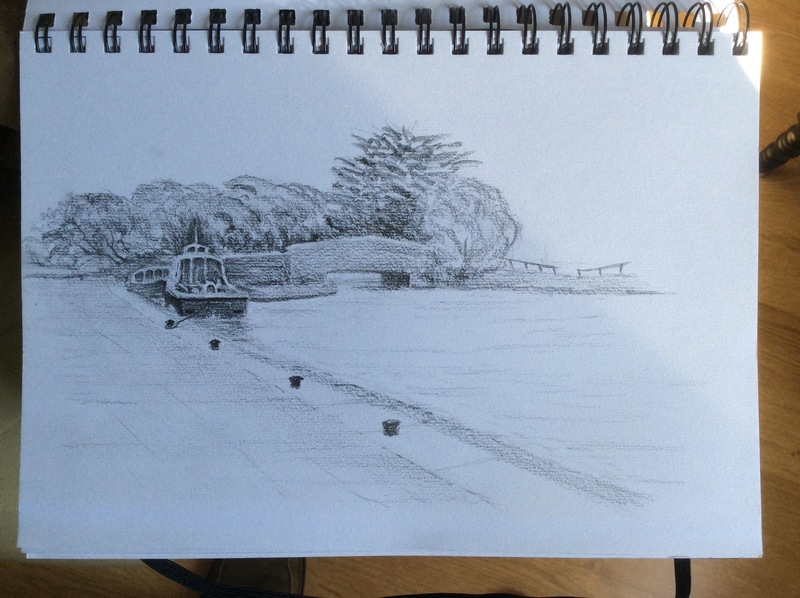 That ran me up to lunchtime, then after lunch I did a quick sketch facing the other way towards the visitor centre. Not completely finished, but enough to work with, supported by a few photos. The weather is supposed to be good tomorrow as well so I might set out early and get some sketching done at Widemouth Bay before my art group meets. All in all, a reasonably successful day. Just had my first experience ordering from Rosemary & Co online. What a superb service! I ordered yesterday and they are in my hands today. Not only that, the quality seems to be brilliant. 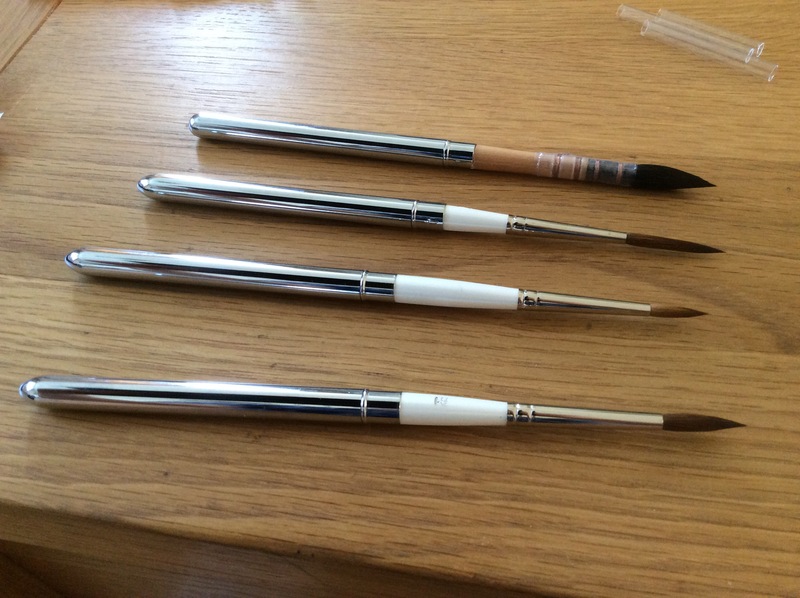 After attending a David Bellamy workshop last week I was very impressed with the brushes he was using. I ended up buying a no. 6 and no. 1 rigger from him. They point beautifully and hold a LOT of paint/water. I decided when I got Home that my plein air equipment doesn’t really need the kitchen sink so I checked out the Rosemary & Co website for some travel brushes. These are Kolinsky Sable brushes and they didn’t break the bank (unlike the Escoda set I was looking at on Bromleys). I will definitely be re-visiting the site to purchase further items. I still need a flat brush and could also be tempted with the comb brush. Here’s some pics of my brushes and I can’t wait to try them out. Watercolour on Arches NOT paper. 140lb 1/4 imperial. While waiting for my Art Club to start, I had a stroll along the canal basin at Bude to look for a suitable subject to paint. This scene caught my eye and I duly snapped it on my iPad. I fancied a go at painting some figures as I tend to shy away from them! I did a sketch first, then progressed to the painting which took about 4 hours. A fairly restricted pallette of Cobalt Blue, Ultramarine, Cad red, Cad Yellow, Burnt Umber, Burnt Sienna, Aureolin, light red and a touch of gouache to recover some lost whites.